Can you get to Heaven by just being a good person? Fr. 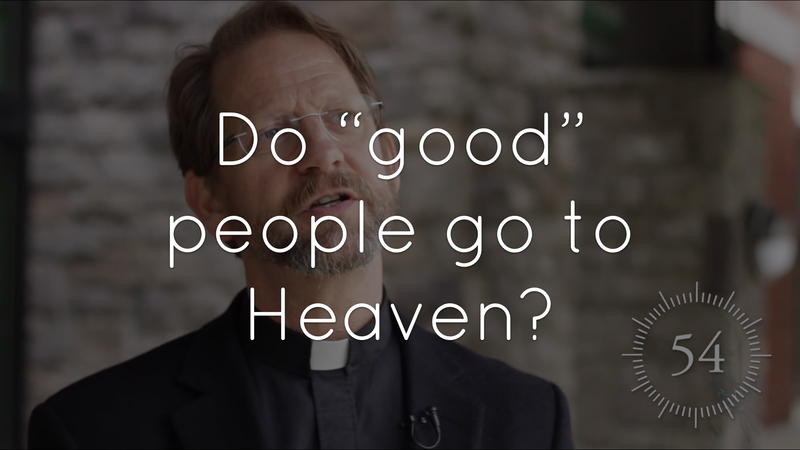 John Kerns addresses the question: can you get to Heaven by just being a good person? He answers, yes. But the question is a bit more complicated than that. To illustrate this, let’s look at a metaphor. If you are going in for surgery, do you want your surgeon to just be good person? Or do you want somebody that has spent a lot of time learning the skill, practicing, and being compassionate in their work. In a similar way, we are the physician of our own soul and body; God commissioned us with free will to decide how to take care of ourselves. We are supposed to strive for excellence of the greatest physical and spiritual health. We can witness this through Jesus Christ, who became human and showed us perfectly who we are supposed to be and who God is. Our faith was handed down through His apostles and then through time from his bishops in the ministry of the Catholic Church. It is a precious gift to live and to have free will to serve the Lord. Jesus said, “I am the way and the truth and the life” (John 14:6). We are called to live according to his way and by following his teaching. This is the key to fullness of this life and the world to come. For references from this video, check out our “References” page.